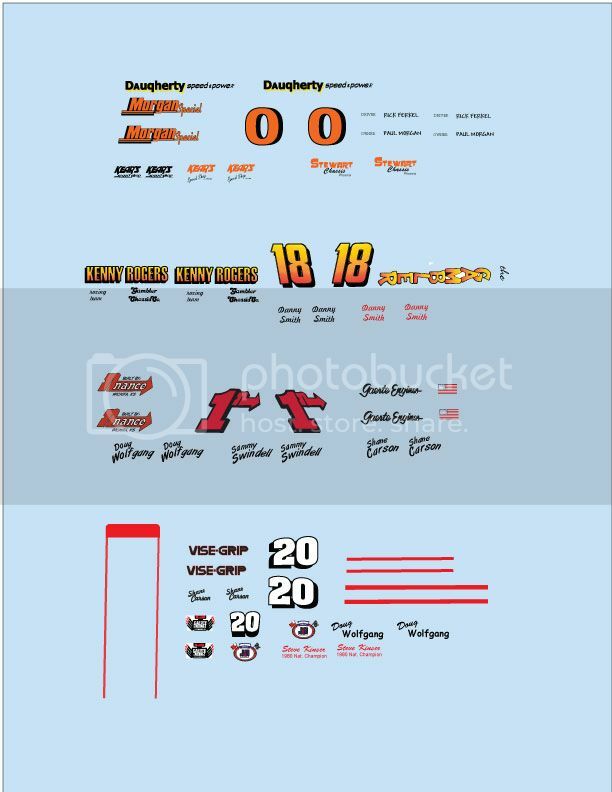 I've just completed a decal sheet for four classic non-wing sprinters. this sheet will do the original Kenny Rogers Gambler, The Nance house car (choice of three drivers), the Rick Ferkel 0 with alternate sponsors and the Trostle Vise Grip house car. The Vise Grip car includes the decals for the Steve Kinser Knoxville Nationals winner. These are sized to fit the 1/24 Monogram Challenger and Gambler kits. Our board member John Stewart produces resin hoods for the old style Gambler and Nance cars and these decals will fit those as well. If you're interested in a sheet of these decals, please PM me or contact me at gws.decals@verizon.net.